PARIS -- Renault has signed an agreement to assemble and sell passenger vehicles in the fast-growing Pakistan market by 2019, as the automaker seeks to expand its presence in developing countries. Renault will be partners with Al-Futtaim Automotive, a Dubai-based company that will break ground early next year for an assembly plant near Karachi and establish a sales network. Pakistan has a car ownership rate of just 18 per 1,000 inhabitants and ranks sixth in the world with a population of about 205 million people, but fewer than 200,000 passenger cars were sold last year. Renault is the first European manufacturer to enter the market under a new government initiative to attract foreign automakers through tax and tariff incentives. Four foreign assembly plants have been approved. Last December, Kia said it would invest $115 million to set up manufacturing operations in Pakistan, and in February Hyundai announced a similar plan. A Volkswagen Group spokesman confirmed on Tuesday that it is in talks with the Pakistani government to assemble light-commercial vehicles. 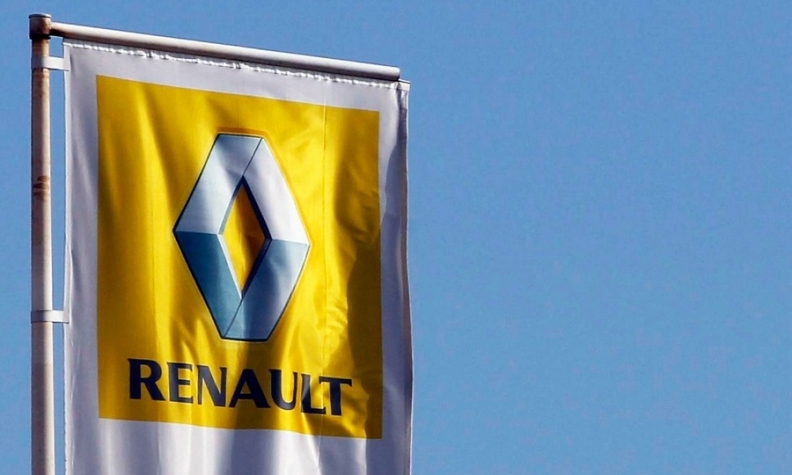 "Group Renault is delighted to extend its international footprint by entering Pakistan, a fast-growing market with a 10 percent annual growth rate," Fabrice Cambolive, chairman of the Africa, Middle East and India (AMI) region, said in a statement. A Renault spokeswoman said the company could not give details about future models or the value of the deal. The automaker sells cars in emerging and developing markets through its Global Access program, including the small Kwid SUV and variants of the Duster compact SUV. Renault says its entry into Pakistan will help the company reach its global growth goals under the new Drive the Future strategic plan. Last year Renault sold 491,000 vehicles in the AMI region, but it seeks to sell at least 800,000 in the region by 2022. "We are looking for new market opportunities, and Pakistan is one of those countries," the Renault spokeswoman said. "Right now, we are at zero, and every car that we sell there is going to be a bonus." Anil Sharma, a principal analyst at IHS Markit in India, forecast that about 225,000 passenger vehicles will be sold in Pakistan this year. The market is dominated by Honda, Suzuki and Toyota, which operate joint ventures. The best-selling vehicles in recent years have been the Toyota Corolla, Honda City and Civic subcompacts, Toyota HiLux pickup, as well as Suzuki microcars with engines smaller than 800 cc. "Although the country's political landscape is far from stable, a fast-growing economy, moderate inflation and the expanding middle-class are acting as strong incentives for further investments in the country," Sharma said in an email. "Pakistan represents a long-term opportunity for automakers." Joshua Cobb, an automotive analyst at BMI Research in London, said that Pakistan is one of the fastest-growing automotive markets in the world. Sales of passenger vehicles are predicted to rise 20 percent next year, and average 14 percent growth through 2021. Cobb said the government was also seeking to stimulate the auto market by regulating the import of used vehicles. "It will have a cascading effect on the demand for new vehicles," he said. Sharma said Renault and Al-Fattaim could face difficulties as relative newcomers to Pakistan. Al-Futtaim Automotive, a subsidiary of a Dubai conglomerate, has operations in 11 regional countries but its presence in Pakistan is limited to a joint venture that sells tractors. "This may throw a few challenges on the operational side," he said, but added that the government's "strong intent to overhaul the local automotive industry is likely to offer tailwinds to Renault and Al-Futtaim." Sharma predicted that Renault's alliance partner Nissan would also enter the Pakistan market, and that by 2020 the brands could capture about 2.5 percent of the market, which he described as "locally assembled cars that are sold at relatively high prices but lag imported vehicles in quality and specifications." "The investment by new players, including Renault, is likely to cause tectonic shifts in the structure of the local market with share of incumbent automakers set to decline in coming years," he said. Cobb said another risk to growth in Pakistan was an over-reliance on Chinese investment in infrastructure and manufacturing, through its Belt and Road Initiative. "If China pulls back on investment for whatever reason," he said, "it will have a massive impact on all industries, and the automotive market will be one of the first to be affected."